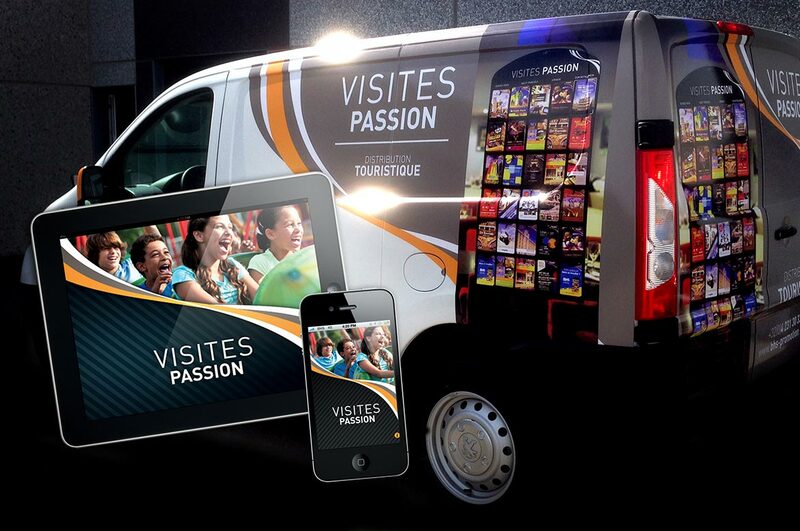 Visites Passion: a print paper + website solution for more effective tourist publicity. 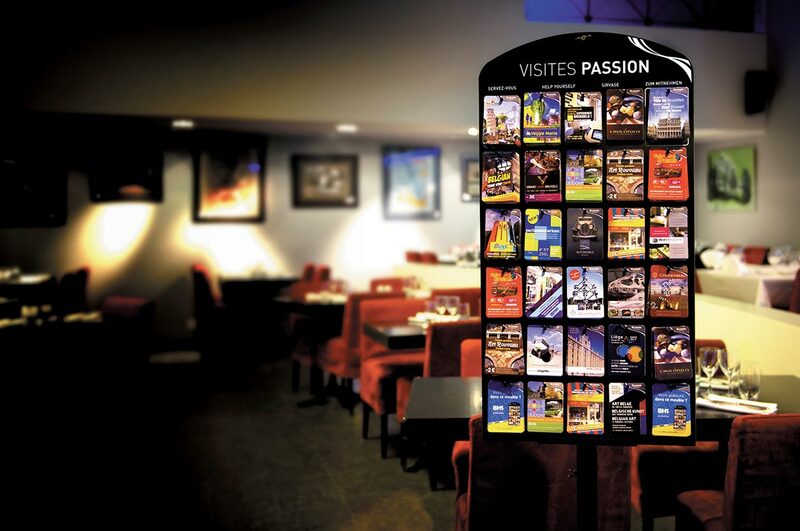 The main tool of Visites Passion are the tourist leaflets displayed on racks in tourist offices, hotels, restaurants, tourist attractions, cultural sites, etc. 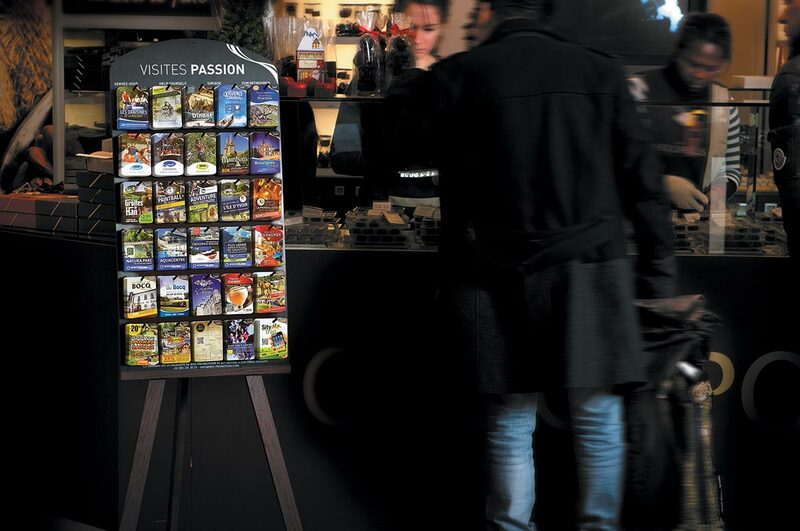 With more than 12,000 display panels in Belgium, France and Luxembourg, the Visites Passion network effectively targets the tourist customer base and offers advertisers unrivalled visibility. Since 2013 there has been a synergy between the printed media and new internet tools: A mobile phone application and a mainstream website, www.visitespassion.info, have been added to the initial package. Are you interested in advertising on Visites Passion? The Visites Passion network is developing further, with new regions in Spain and Italy soon to be opened. The Visites Passion brand name is the property of SARL Multipassion, which grants brand licenses to those companies wishing to participate in the development of the network. Would you like to contribute to the development of Visites Passion? The Visites Passion network had its beginnings in the heart of tourist country Visites Passion was founded in 2002 on the initiative of tourist sites in the Rhône-Alpes region who were members of the Association Evasion-Plus in Vallée du Rhône-Vercors. The aim was to run a publicity campaign with wide geographical reach, at minimum cost and with maximum impact. A low-cost pocket-size printed version easy for tourists to keep An inexpensive but sturdy and attractive tamper-proof display panel that cannot be hijacked by third parties.